Cross Farm was situated around the area which is now the Benfleet Road entrance to King John School and Alder Wood. The farm was sold and built on about 1872. 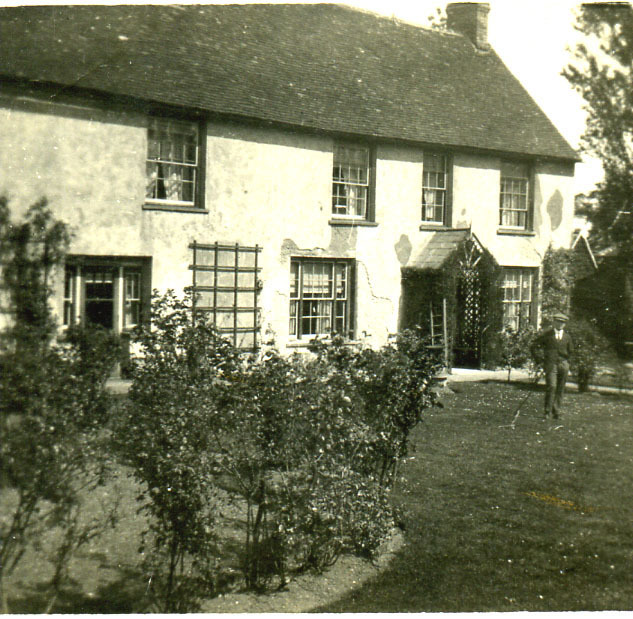 The farmhouse was still standing in 1948 and was occupied by Mr.W.Bridge who owned Leigh Building Supply Co. Ltd. Freddie Bridge, his son, was M.D. of Church Road Engineering, the local agent for Dodge trucks. The Bridge family also ran the Benfleet and Canvey Bus Company from the bus garage at Victoria House corner. The redundant farm buildings were let out, part to a slaughter house and part to my father-in-law, Mr Maurice Horder who ran a coachbuilding and sign-writing firm with his brother Cliff Horder. After National Service, John, Mr M Horder’s son joined the firm. Mr. M. Horder was the sign writer, he was also a gifted artist and a member of the local Benfleet Art club. We have many of his paintings in the family. In 1951, the firm M Horder & Co. moved to the Dears Farm Estate on the west corner of High Road and London Road opposite Tarpots. The farm was sold and developed in around 1923. Mr Horder and family lived in ‘Valcasta’ a bungalow on the east corner of Shipwrights Drive and London Road now known as Five Oaks Estate after the large oak trees that were in the original garden.The bungalow was built in 1943 on a builder’s site. Catherine Horder, Mr. M Horder’s wife, embroided service badges during the 1939 war. Catherine also sang in Madam Freda Parry’s choir and sang old folk songs, solo. I used to see trucks in the mid 80’s with Cross Farm meat supplies written on them, were they the same company ? I worked at Cross Farm Abattoir from 1963 to 1979 when the Woodford family who owned it at that time. I also lived in the Round House from 1964 -1976 where my youngest son was born. Having stumbled on this page, I feel the need to respond as I am linked to Cross Farm Slaughterhouse, yet strangely, the only building I know of as Cross Farm Slaughterhouse is the roundhouse that is still there; perhaps this roundhouse was originally the gatehouse to the property? My mother use to clean for the Bridges (who lived in the roundhouse at the time) in the 1950’s and they became known to me as my grandparents. How long the Bridges were living there I do not know. I have a lot I could tell regarding Cross Farm Slaughterhouse and the Bridges if you are interested. I met a lady in Victoria, British Columbia, when I went to play golf in a Rotary Club event. Her husband was then the Victoria Club president. At one of the hospitality events, she found out where I came from and was so pleased that I could answer questions about Essex as she told me that her father was born and lived in Essex before going to Canada. It transpired that her father was born at Cross Farm and as a youth worked on the construction of Benfleet Water Tower. The following year Rotary held their convention in Birmingham and I attended. Much to my surprise I met her at the event. And I invited them to visit us when we returned home. Of course I had to take her to Cross Farm. We knocked on the door and explained the story to the Lady of the house and she invited us in. My friend from Canada was overwhelmed to think that she had been to her father’s birthplace I also took her to the watertower; I do not know her father’s name unfortunately.